The SSL inter-end bogies have been designed for a midlands based rail OEM for their flow line project. Design bogie to carry existing inter-end jigs. Manufacture 10 off inter-end Jig bogies to drawing number: 2011-06-8525. The framework has been manufactured from 80mm box section with locating supports manufactured from forming 5mm plate into a ‘C’ section. 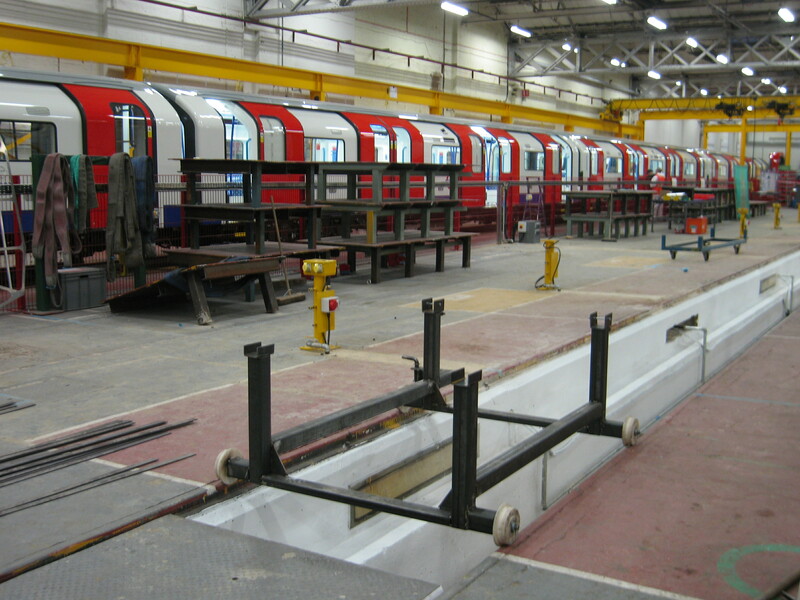 The bogies are assembled with 150mm diameter nylon flanged wheels to isolate the trolley from the rails and fitted with a 25mm diameter spring loaded pin to locate the bogie at each of the work stations.